It delivers 17-inch-laptop power in a package closer to 15-inch-laptop size. 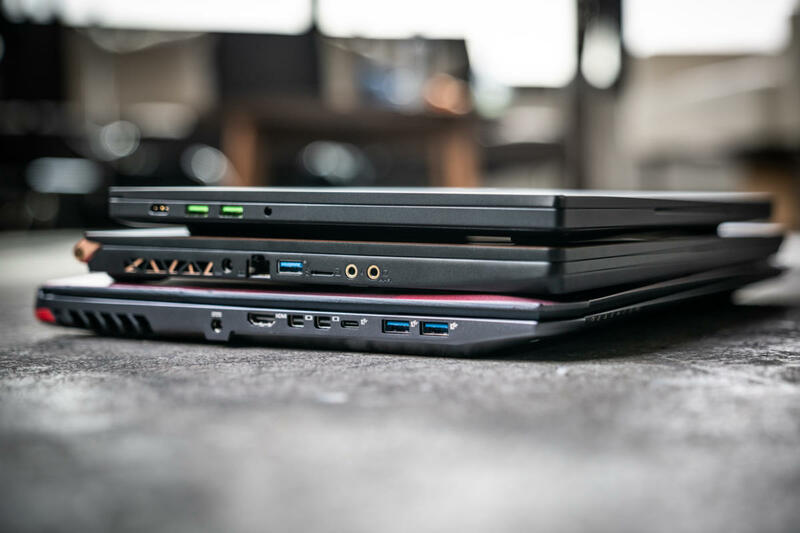 The MSI GS75 Stealth challenges that old PC laptop proverb that says you can have high performance, and you can have a 17-inch screen, and you can have light weight—but you can only pick two. Sure, at five pounds GS75 is hardly “light.” But along with its 17.3-inch display it packs an 8th-generation 6-core CPU and Nvidia’s brand-spanking new GeForce RTX 2080 Max-Q graphics inside. To put it in context: Origin PC’s EVO-17S is considered pretty portable for a 17-inch laptop, and it weighs nearly seven pounds, with a GeForce GTX 1070 inside. 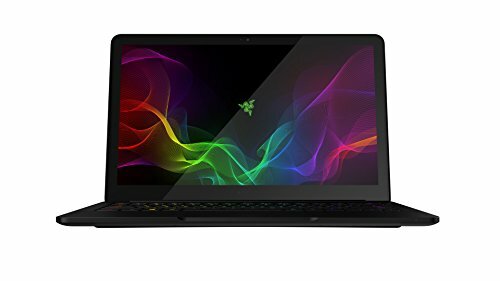 Meanwhile, Razer Blade Stealth, the self-anointed "smallest 15-inch gaming laptop," is just slightly smaller and lighter than the MSI GS75 at 4.6 pounds. The MSI GS75 is one of the first laptops to debut with Nvidia’s RTX graphics for laptops, announced earlier in January at CES. This review focuses a bit more on graphics than usual as a result—and as you’ll see in our benchmarks, the MSI GS75 is a (relatively) lightweight laptop with a heavweight wallop. As we test more laptops with the new technology, we’ll add that information to an accompanying story discussing whether Nvidia RTX for laptops is worth it. MSI’s 17-inch GS75 Stealth (middle) is so compact, it’s closer in size here to the 15-inch Razer Blade (top) than the 17-inch Origin PC EVO-17S (bottom). Now that you know what’s inside, here’s more about the outside. As with the 15-inch GS65, the GS75 features an all-aluminum body that’s anodized black. The black is accented by bronze, which gives it a very “grown-up” feeling. MSI has endeavored to make its laptops visually acceptable in corporate conference rooms, lest your boss suspect you’re fragging bots on the clock. 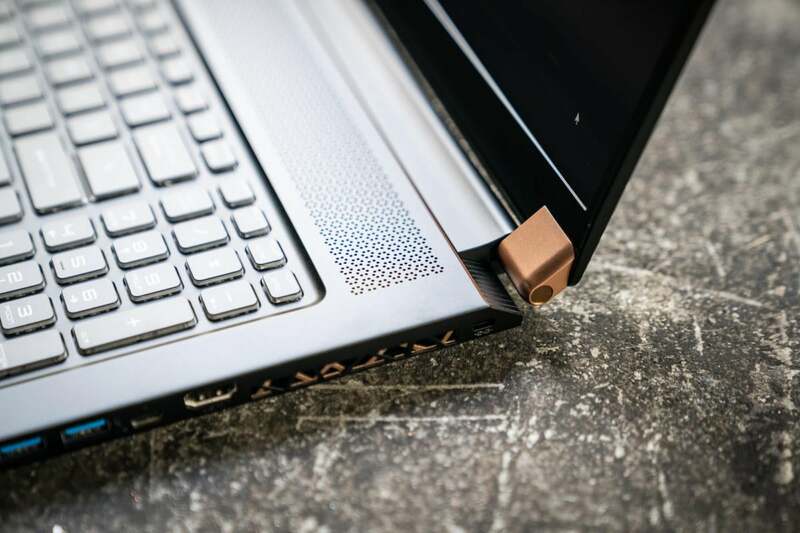 The hinges features bronze accents, which give the laptop a stately grown-up feel. Ports still matter for those who actually do work, and MSI is generous. The left side of the GS75 features 3.5mm analog headset and mic ports, a microSD slot, USB 3.1 Type A, a Killer Gaming Network E2500 gigabit port, and a dedicated power port. On these last two points we should mention that the Killer NIC E2500 is Atheros hardware, and the Wi-Fi portion is the company’s new 802.11ac that’s based on Intel hardware. MSI includes a fairly slim 230-watt power brick with the GS75 Stealth. It’s still brick-ugly, but at least it’s not as large as some. 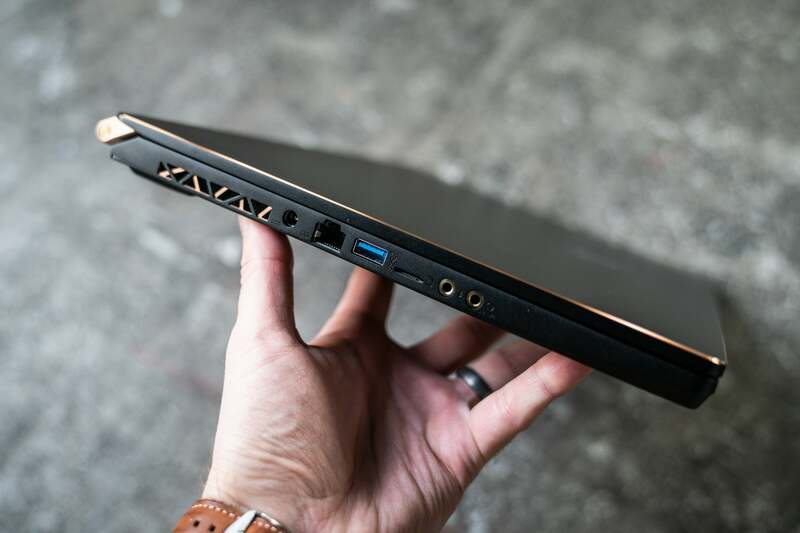 The left side of the MSI GS75 Stealth includes power, ethernet, USB-A, microSD, and headphone and mic jacks. Moving on to the right side of the GS75 we see two more USB 3.1 Type A ports, and two USB 3.1 Type C ports. One is just USB-C 3.1 Gen 2 at 10Gbps, while the other adds Thunderbolt 3. Finally, the laptop also features a full-size HDMI 2.0 port. 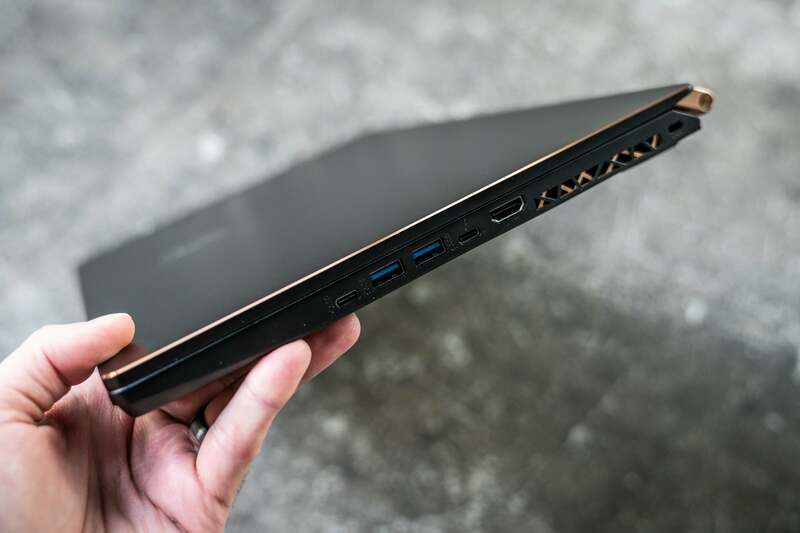 The right side of the MSI GS75 Stealth offers USB-C, USB-A, and HDMI. The keyboard on the GS75 Stealth carries SteelSeries branding and features per-key RGB lighting. The keyboard is a rubbery-dome type with N-key rollover support. The keyboard is decently bright and features translucent skirts to accent the RGB look of it. MSI jams in a small 10-key on the right side, which still oddly follows a phone-style layout for the 0 key. As we’ve whined about before: Anyone with an accounting background knows the zero key should actually be under the one key instead of the two key, as it is here. Phooey. Perhaps the most unusual choice is the placement of the trackpad. It’s beautifully glass-smooth and responsive, with support for Microsoft’s Precision Driver gestures. The palm rejection is excellent, too. But it’s so huge, you’ll constantly place your right wrist on it while typing, and likely trigger the trackpad’s physical click mechanism. Much of the problem stems from MSI’s decision to center the trackpad on the keyboard tray (roughly between the ‘I’ and ‘O’ keys), rather than center it under the QWERTY keyboard (between the ‘T’ and ‘U’ keys). Your wrist just naturally falls where the trackpad lies. The only advantage we can see is that it’s completely clear of the WASD keys, so your left wrist probably won’t hit the trackpad while gaming. The MSI GS75 features per-key RGB lighting and a beautifully smooth glass trackpad with a potentially annoying placement. We know, we know, the big news is how this laptop performs with the brand-new RTX graphics inside. At the risk of spoiling your fun, let’s confirm up front that it’s fast. But there’s plenty of nuance from test to test. Hold onto your hats as we give the CPU its due. First up is Maxon’s Cinebench R15. 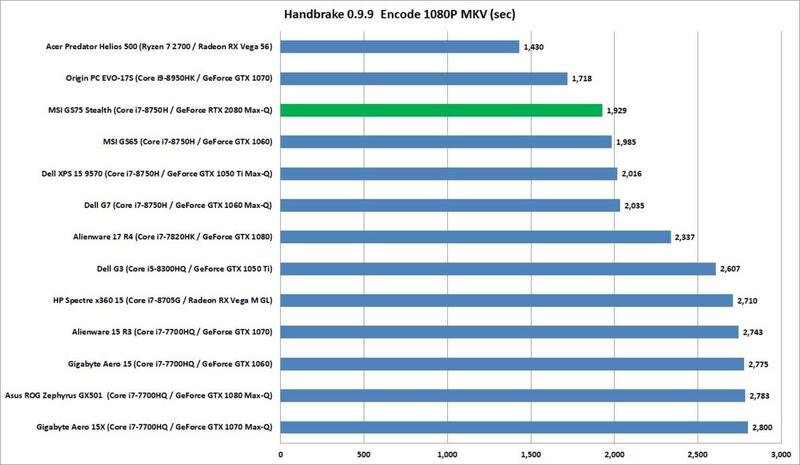 Based on the company’s rendering engine from its Cinema4D product, it’s a multi-threaded test that loves CPU cores. 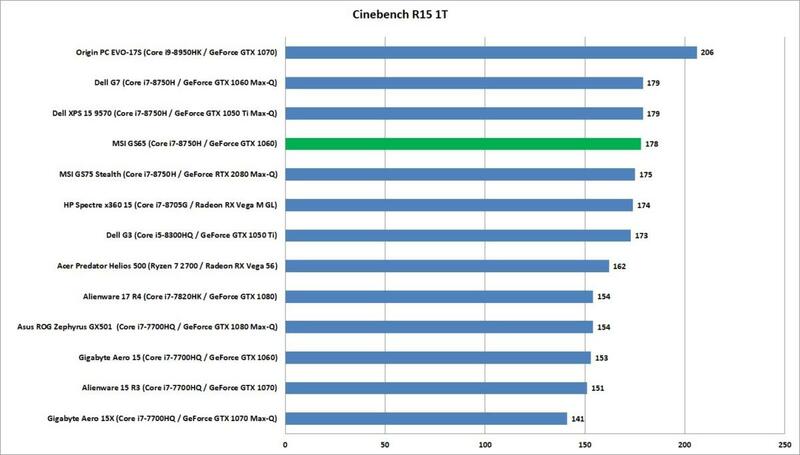 The result is basically in line with what we’ve seen from a stack of 8th-gen Core i7 CPUs. We’d actually put the MSI slightly in front of the pack, but let’s just call it a tie. The good news is there’s no sign of performance loss from shrinking this laptop. The 8th gen Core i7-8750H CPU inside of the MSI GS75 Stealth compares favorably with the competion in multi-threaded work. 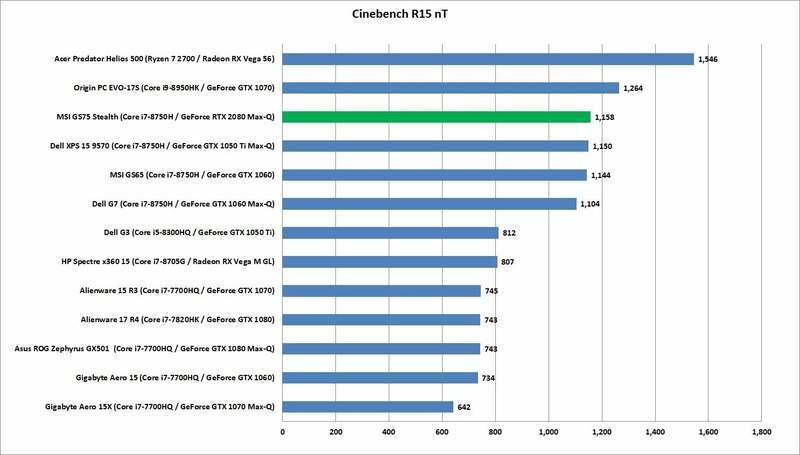 Because few workloads use all the cores of a CPU, we also look at Cinebench’s single-threaded performance, which is more indicative of what you’d see in Office or browsing the Internet. The result is again in line with what we’ve seen with other laptops with the same CPU. 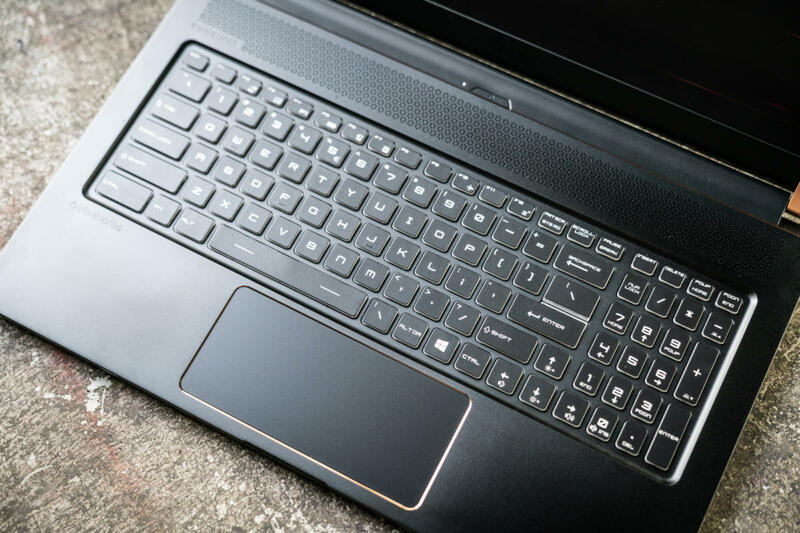 The GS75 Stealth pushes its Core i7-8750H at a good clip and is among the faster 8th-gen based laptops we’ve seen. Our last CPU benchmark examines how a laptop handles workloads that run the CPU hard and for a long period of time. We take a 30GB 1080p video file and transcode it with the popular and free HandBrake app, using the Android tablet preset. What this typically reveals is a performance dip as the laptop heats up. You’d think the light and thin MSI GS75 Stealth would suffer performance loss or spin its fans to annoying levels under heavy loads, but all is good. In fact, acoustics on the GS75 Stealth were truly amazing. During a looped graphics load stress test, the GS75’s fans spun up, but we’d swear it was quieter than some 13-inch laptops under load. In fact, it may be the quietest gaming laptop we’ve ever heard. The 8th gen Core i7-8750H CPU inside of the MSI G75 Stealth performs as you’d expect it to, which is good. Exactly how fast is that GPU? Keep reading to find out. MSI's GS75 Stealth offers performance and battery life previously unseen at this weight, thanks in large part to its RTX 2080 Max-Q graphics. It's five pounds and fast!